Diversity is a word that sits well with Australian wine. The continent is large, with a vast range of soils and climates. We also have a wide range of cultures, which are most evident in the food we share, and the wine we drink. In the 1990s, Australia was known for predictable, consistent, mass-market, well priced, flavoursome wines. Predictable and consistent are great when you turn on a tap, not when you open a bottle of wine. The past two decades have seen Australians embrace the new and the different. 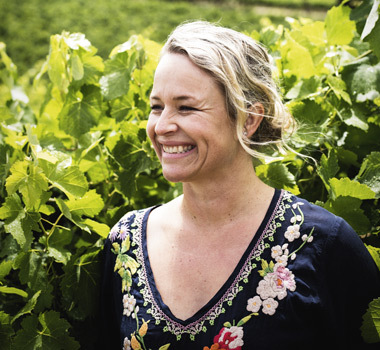 This change parallels Corrina Wright’s winemaking career. Fifteen years ago, she was responsible for producing 18 million bottles annually of Lindemans Bin 65 Chardonnay. Upon returning to her family’s McLaren Vale vineyard, Oliver’s Taranga Vineyard, the technical, hands-on discipline of Lindemans gave way to a low intervention, hands-off approach. At home, this sixth generation winegrower quickly made her mark, producing exemplary regional wines, particularly Shiraz. It was a fine old Barolo that piqued Garry Crittenden’s interest in Italian wines. He tasted widely, read up on Italian wine growing and making methods, then took a pioneering study trip to Piedmont in 1992. The following year, Garry launched his cleverly branded ‘i’ range of Italian varietals with a Great Western-grown Dolcetto. Meanwhile, Brown Brothers were growing a diverse selection of alternative varieties in their nursery vineyard. These were vinified in small, experimental batches in their ‘kindergarten’ winery, then trial marketed at their cellar door. The food-friendly Italian varietals did well at their restaurant, and the high demand flowed on to local growers. These included Fred Pizzini, who grew Nebbiolo, and his cousin Arnie Pizzini, who grew Barbera, both sources for Crittenden’s ‘i’ wines. 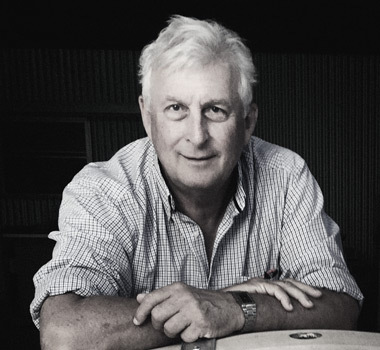 Garry’s studies led to him penning the influential book, Italian Wine Grape Varieties in Australia. This resource helped new growers of Italian wine varietals avoid planting the wrong grapes in the wrong areas. Garry encountered a lot of objections early on, but found the demand for Italian varietals was led by young, open-minded wine-lovers, and enthusiastic sommeliers. Australian sommeliers actively seek diverse wines for their lists. Recently named Best Sommelier of Australia, Italian-born Mattia Cianca, has lived and worked here for the past decade. In that time, he has noticed Australians move away from mass-produced wines, to more individual, unique styles and has seen a surge in varietals from his homeland. Four years at Melbourne’s idiosyncratic Attica restaurant gave Mattia an insight into adventurous Australians’ pursuit of new food and wine experiences. Attica’s philosophy, evocative menu and the mentorship of eccentric head sommelier, Banjo Harris Plane pushed boundaries and made him more courageous. The Australian Alternative Varietal Wine Show has championed diversity since 2001. In that time, it has provided a platform for less mainstream wines, and witnessed the ongoing rise in wine, exhibitor and class numbers. Pinot G has gone mainstream, and Prosecco will surely follow. The AAVWS shares intelligence via its ‘Talk and Taste’ sessions, where the wine trade gathers to share viticulture, winemaking and marketing experiences. An increase in structured education has vastly added to Australian wine diversity. The past decade has seen Sommeliers Australia and the Court of Master Sommeliers educate and advance their members’ knowledge and wine service. Trade initiatives like Negociants’ Working with Wine and the Galli Scholarship programs have provided diversely focussed educational forums, and the Wine & Spirits Education Trust has offered Australians internationally accredited wine levels. This has all broadened the wine trade’s outlook, empowering wholesalers, sommeliers and retailers to list new and diverse wines, giving Australian consumers more choice. There’s also great diversity amongst Australia’s wine regions and vineyards, and how they’re managed. 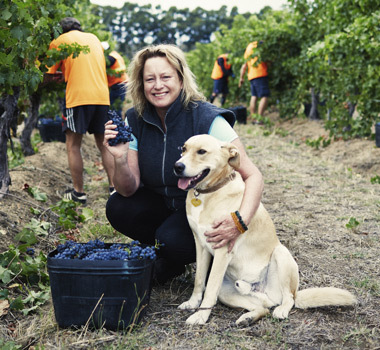 Winemaker Vanya Cullen feels a strong connection to her family’s Margaret River vineyard, where she strives for constant improvement. While it’s always seen minimal chemical inputs, Cullen’s vineyard was certified organic in 2003, then biodynamic in 2005. This has coincided with an increase in vineyard health and fruit quality. As well as being certified biodynamic, the naturally powered Cullen winery is certified carbon neutral. This requires great passion and commitment. All fruit is hand picked according to the biodynamic calendar, then hand sorted, pressed and transferred to barrel, or tank. The yeast is wild, and no artificial cooling, gasses or additions are used. Along with the Margaret River classics, Cullen produce the ‘natural’ Amber – a Sauvignon Blanc made with skin contact in the style of a red wine. Diversity will continue to describe Australian wine, as long as there are brave winemakers wanting to experiment, and open-minded consumers willing to broaden their taste experiences. What was it that drew you to the wine industry? I grew up on a sheep and cereal grain farm in South East of Western Australia, and I enjoyed the outdoors and hands-on side of farming. However, I love the diversity of winemaking. You can be filling barrels or digging out a ferment one day, and the next hosting a five star dinner in Sydney. Always interesting and great challenges. You have worked in vineyards all over the country, including the Margaret River, Swan Valley, Sonoma Valley, Barossa Valley, Clare Valley . What is the best thing about working and living in McLaren Vale ? McLaren Vale has it all, I live in Adelaide with my wife and work in the most beautiful wine region five minutes from the ocean and 30 minutes (depending on how you drive) from the city. What’s your must-do for visitors to McLaren Vale? BYO picnic basket to our beautiful cellar door surrounded by 1850s stone cottages and rolling green lawns. What have been some of your highlights of your time at Paxton? We have won some nice Trophies and received some great James Halliday scores, but I think it is teaching people about Organics and Biodynamics . It is a fantastic way of farming and can really make a big difference to the fruit and especially the wine. 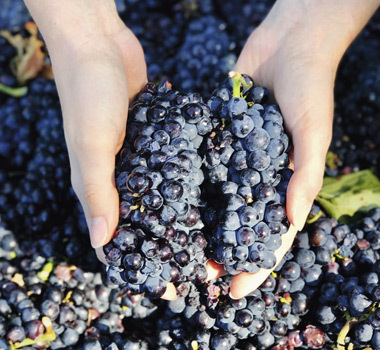 What’s the best piece of advice you’ve been given when it comes to winemaking? Be patient, wine is not a picture or a snapshot, it is like a movie – always evolving and moving with you. Be patient with wine and enjoy the ride! Do you have an all-time favourite wine to make? Why is it? I love making our Pinot Gris , because I don’t use carbon to remove the colour, I use hypoxygenation (basically oxidise it with oxygen). The wine looks so murky and brown all through ferment and stabilisation until one day, generally about three months after harvest, all the brown drops out and you are left with a bright, almost green, hue. It is such a relief! In 2011 Paxton became a fully certified organic and biodynamic wine producer. Can you tell us more about this certification, what it means, how it is achieved etc.? We are very proud to be Organic and Biodynamic at Paxton; it gives us a great sense of growing and making for the future. The vines look healthy and the wines have vitality. The certification process takes three years from the dates of application. From that point everything you do must be approved through your certifying body, we are certified through NASAA Certified Organics. The Paxton Organic MV Cabernet Sauvignon 2016 is our Wine of the Month for June – what makes this a standout wine? The beautiful aroma of winter greens, it is such a fragrant wine. I love smelling this Cabernet Sauvignon . The other great part is the palate, a perfect wine for the colder months. It has power and poise, bright fruit, as well as lovely tannins. A great wine with stews, soups and hearty winter dishes. What do you do to relax when you’re away from the winery? I play golf, not so relaxing, but it gets my head out of the winery. What’s your ultimate wine and food match? Paxton MV Cabernet Sauvignon, lamb loin chops (from our farm in Western Australia) mashed potato and peas. What is your favourite… Movie? The Lion King Book? Power of One Time of day? Any time of the day is a great time in McLaren Vale! Restaurant? Ruby Red Flamingo in North Adelaide.